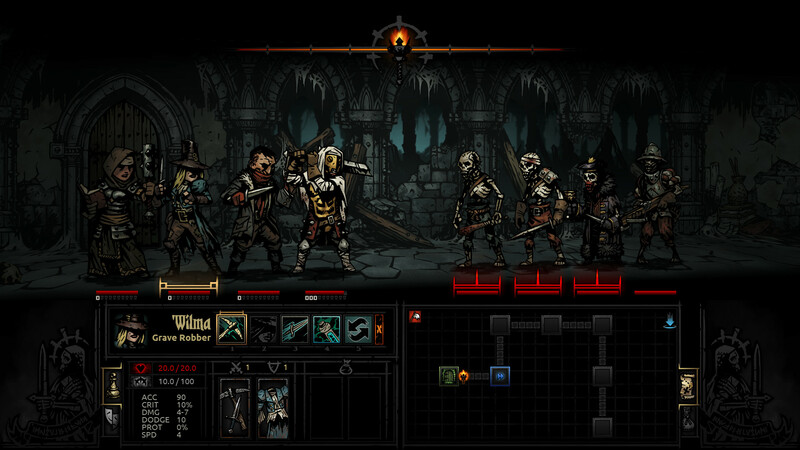 There’s no denying that, even in its default form, developer Red Hook Studios’ grim roguelike RPG title Darkest Dungeon is a harrowing experience that’s not for the faint of heart. The multitude of fan-made mods that have been created for Darkest Dungeon's PC version help expand and diversify the experience, which in many cases means making it even more brutally difficult. Hence, we arrive at a new mod created by Nexus Mods user shishiwashi. The mod comes in the form of a punishing "Boss Rush" mode which tasks the player with conquering all of the game’s deadly boss enemies in one go. According to the mod’s official description, it adds a new quest to the player’s hamlet called "The Galaxian Convergence" which—when accepted—tasks the player with venturing into a massive new dungeon that contains all 23 of Darkest Dungeon’s boss encounters (including the new bosses from the Crimson Court DLC). As shishiwashi explains, the boss rush dungeon is incredibly hard, but not impossible as long as you come suitably prepared. The dungeon itself comes complete with hidden rooms that can contain life-saving supplies, and there are also various items and curios spread about before each boss room which can provide hints as to which boss is lying in wait (and thus allow the player to plan accordingly). Lastly, shishiwashi warns that all of the dungeon’s rooms have to be cleared in order to finish the quest, so players shouldn’t bother trying to skip rooms early on since they’ll just have to return to them later. A full description of shishiwashi’s Boss Rush mod and instructions on how to install it can be found courtesy of the mod’s official Nexus Mods page. For more Darkest Dungeon coverage, be sure to check out our previous looks at the official Shieldbreaker companion DLC and another fan mod which adds Final Fantasy 7’s Tifa Lockheart to the game’s roster.